Rob Sand is sworn in. 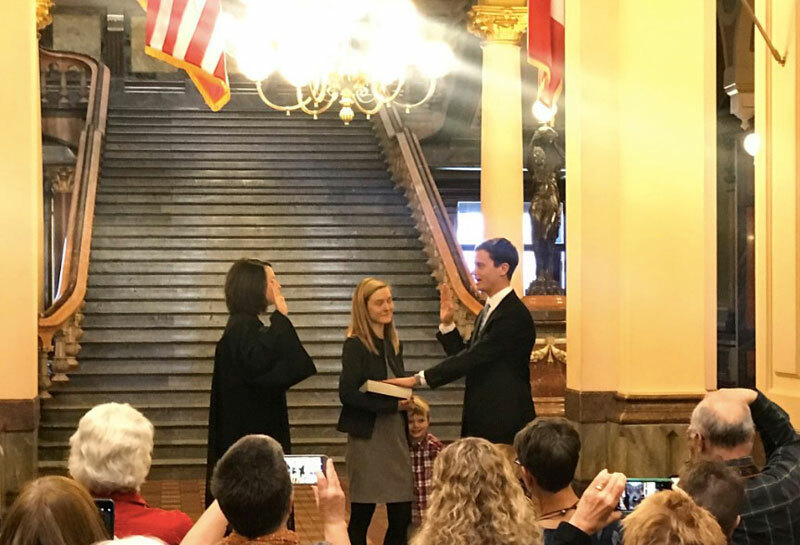 Rob Sand was sworn in Wednesday as state auditor, becoming only the second Democrat in more than a century to hold the position. 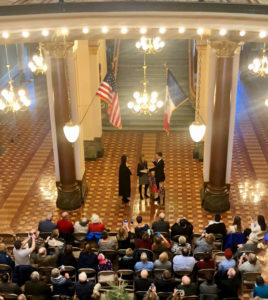 Following the statehouse ceremony, the 36-year-old Sand announced he’s selected a politically diverse leadership team. “The only thing I want to emphasize today is the three people that I’m going to give the most decision-making responsibility in this office politically represent everyone in the state — Democrat, independent and Republican,” Sand said. John McCormally, an attorney and former communications director for the Iowa Democratic Party, will serve as Sand’s chief of staff. The other two people selected for leadership posts supported Sand’s opponent, but Sand called them “the most qualified people for the positions.” As a Democrat in a watchdog role in the Republican-controlled government, Sand downplayed concerns that politics will drive his actions. “Iowans sent us here. All of us. They didn’t send us here to fight each other,” Sand said. “They sent us here to get good work done. That’s going to be my priority.” Sand defeated Republican Mary Mosiman in November. He was the only challenger to defeat a statewide elected official. Sand said his office will add more efficiency recommendations to all audits and will start exploring how to do an additional review of Iowa’s privately managed Medicaid program.